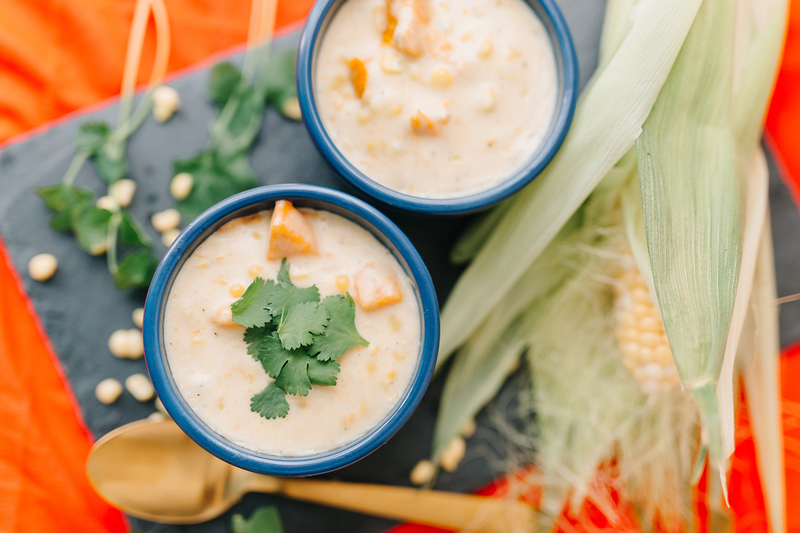 This Instant Pot Corn Chowder post was sponsored by Fresh From Florida as part of an Influencer Activation for Influence Central, however, all opinions expressed are my own. Growing up, our meal choices were very “blah” to say the least. Don’t get me wrong, the food was good but we almost always ate the same things over and over. Chicken, beef or fish were usually served and the recipes were always the same. My family has a Caribbean background so those were typically the flavors in our dishes as a child. When I became an adult I wanted to break that cycle. I wanted to switch things up from time to time and try something new every once in a while. 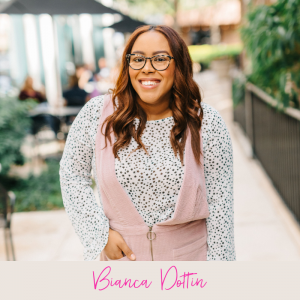 Exposing my kids to different flavors, textures, and recipes is something that I love to do. Coming up with new recipes allows me to be creative and expose my family to new things. Corn chowder was never something that my parents made. 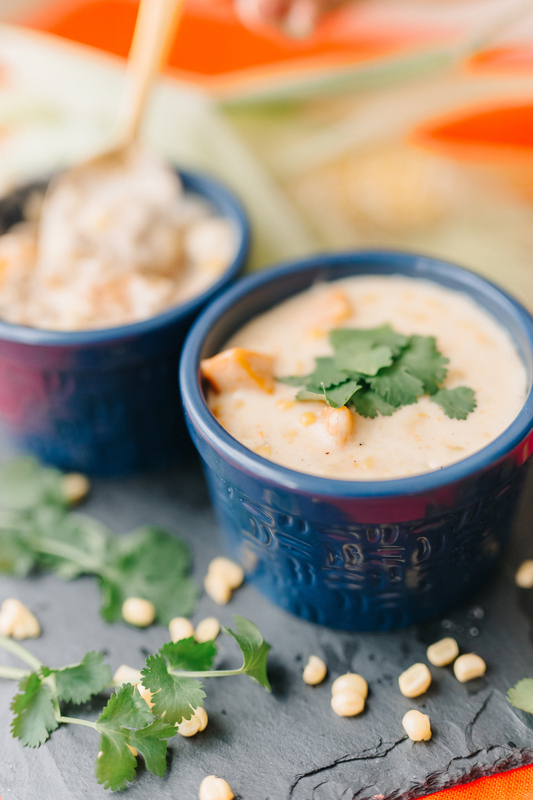 Clam chowder was a favorite in our home but clams aren’t always readily available so I decided to put a twist on a traditional favorite. Florida farmers make it easy for everyone to eat fresh produce year round so I always love incorporating it into our recipes at home. Corn has always been one of my favorite veggies so of course it had to be the main ingredient for this dish. I usually pick our corn up at our local Publix since it’s so close by. 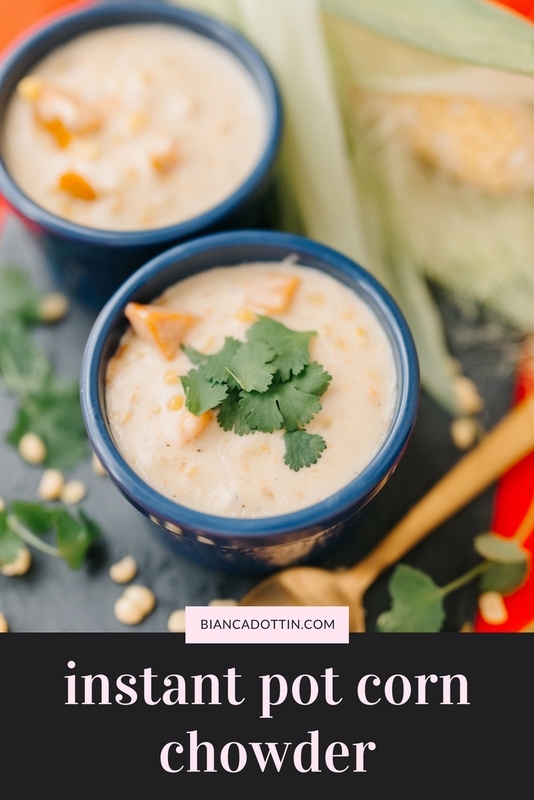 This Instant Pot corn chowder is simple and easy to make. You can easily whip this up for lunch or dinner. It’s one of my favorite meals to make when I have little to no time and need to get something on the table quickly. There’s only a few ingredients and you can make it under 30 minutes! Set Instant Pot setting to Saute. Brown turkey. Remove to a bowl and place aside. Add butter to Instant Pot. Add garlic to melted butter. Stir flour in to create a roux. Add diced sweet potatoes and corn into the roux. Next, mix in vegetable stock, heavy cream, and remaining ingredients. Place the lid on and make sure the valve is in sealing position. Select soup setting and cook on low pressure for 10 minutes. If the chowder is too thick, add in more vegetable stock to get the desired consistency. 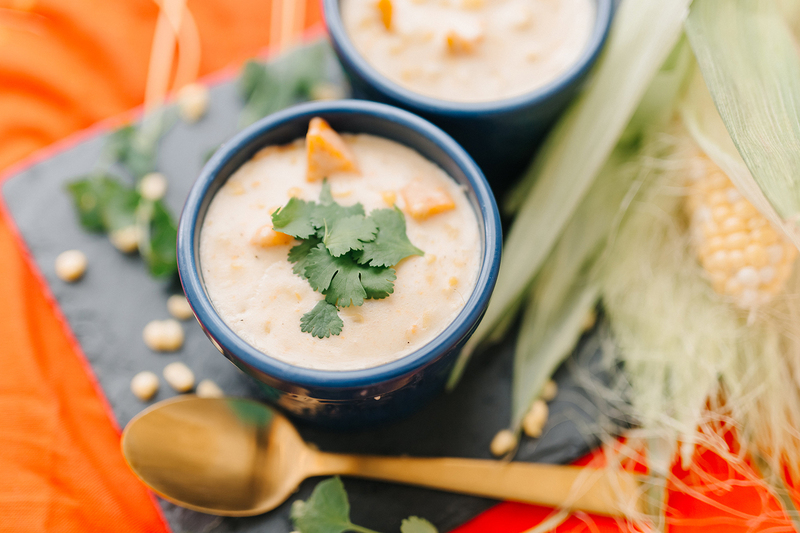 Once your chowder is done, you can top with a bit of cilantro for a bite or cooked bacon bits for a nice crunch. If you’re not a fan of ground turkey, you can switch it out for ground beef. Pretty much any meat will work with this recipe which is one of the things that is so great about it. 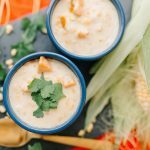 This Instant Pot corn chowder recipe will keep you wanting seconds no matter what! 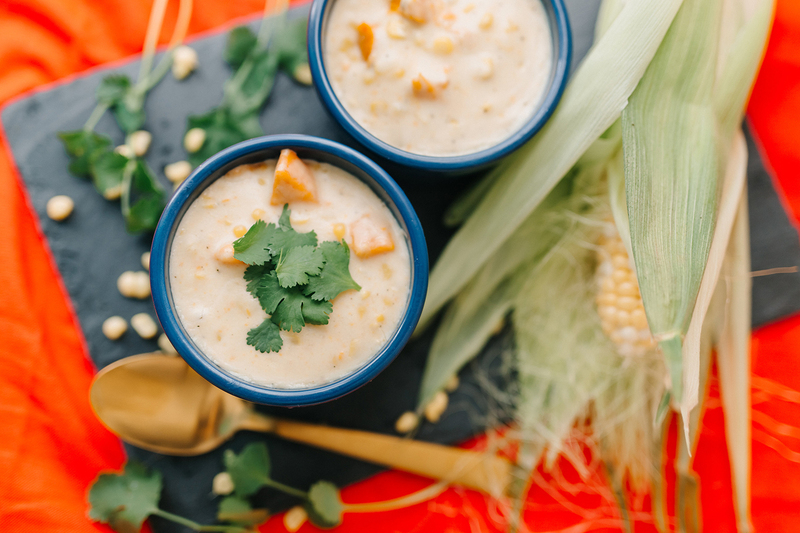 Have you ever tried corn chowder before? 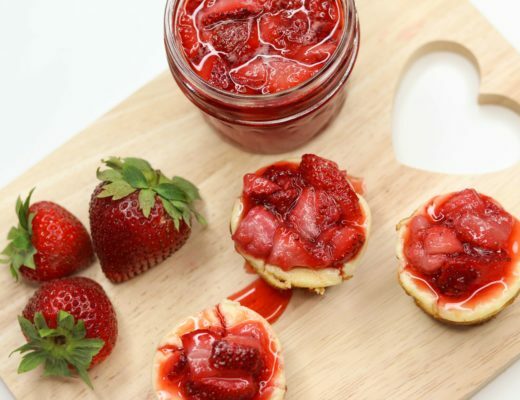 For more amazing recipes, check out the Fresh From Florida site. 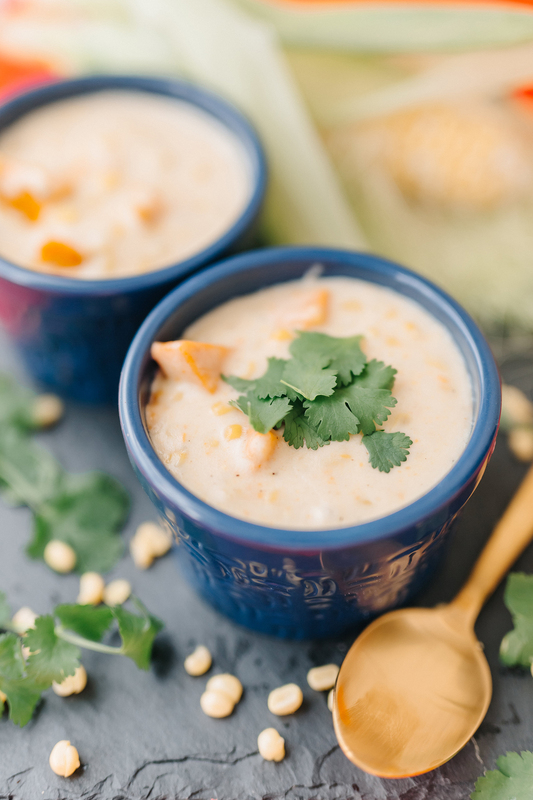 I never thought to put sweet potatoes into corn chowder but that’s a great idea! It would be so sweet and yummy! I really need to get an instant pot . . . I keep hearing such rave reviews about how fast and easy they make cooking. They are honestly amazing. You really can make anything instantly. 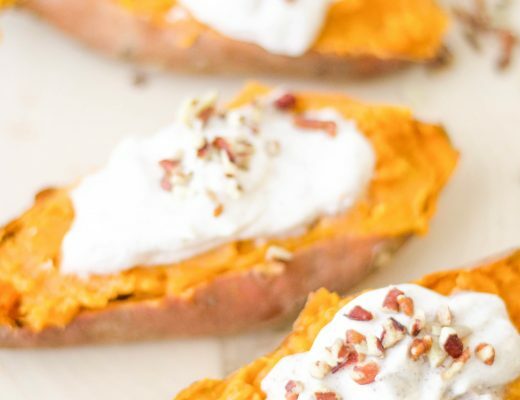 The sweet potatoes really do add something special to the chowder. This looks amazing! Ive been on the ledge about purchasing an Instapot. Ive heard nothing but great things about them, but I’m running out of “kitchen appliance” room! Maybe if I tell myself it will replace the crockpot? It will definitely replace your crockpot. It has a slow cooker function and so much more! I think I’m the last person on the planet without an Instant Pot. This corn chowder sounds divine, and is putting a fire underneath me to get one. I have never had corn chowder with turkey.